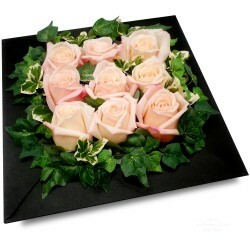 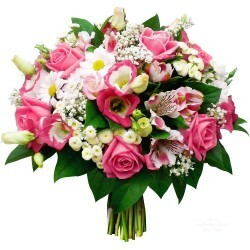 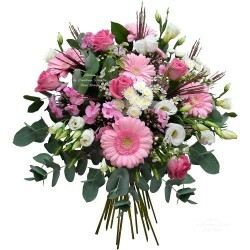 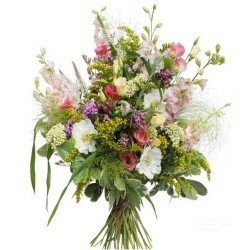 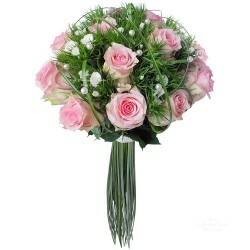 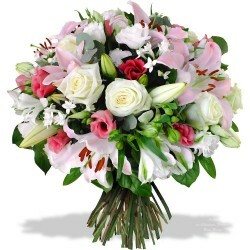 To celebrate the happiness of married, a wedding flower composition in shades of pink, white and green. 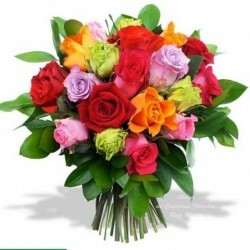 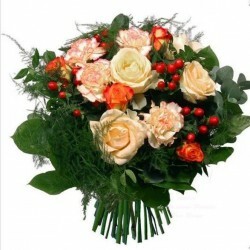 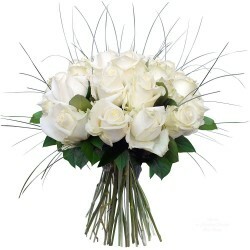 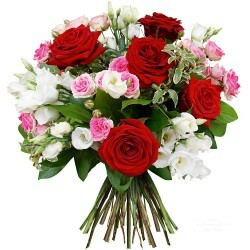 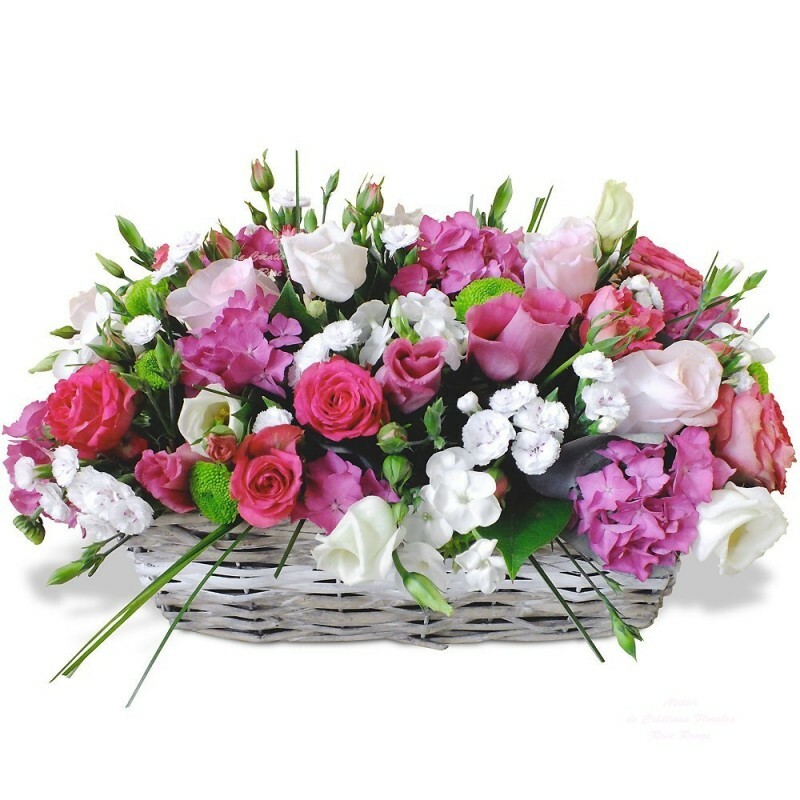 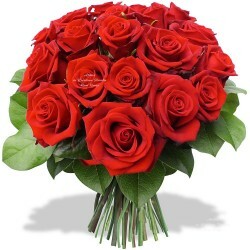 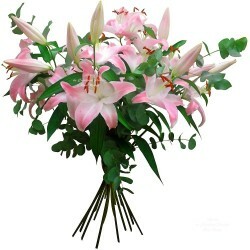 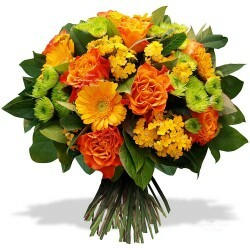 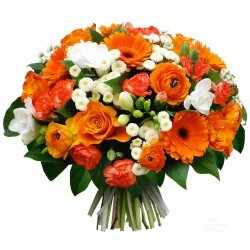 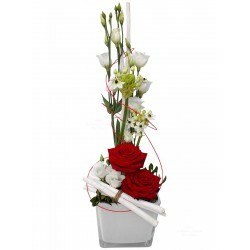 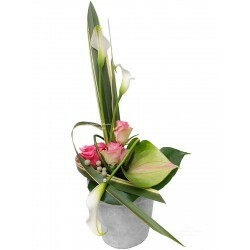 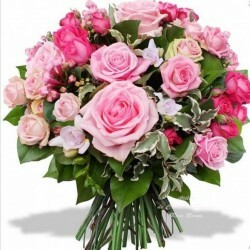 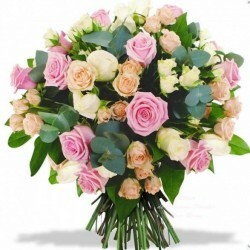 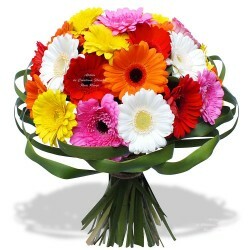 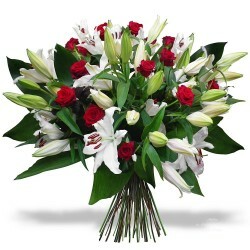 Beautiful fresh seasonal flowers presented in a beautiful wicker or decorative container. 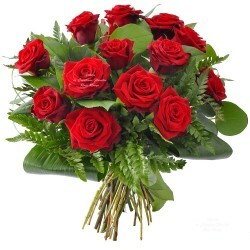 (The picture).